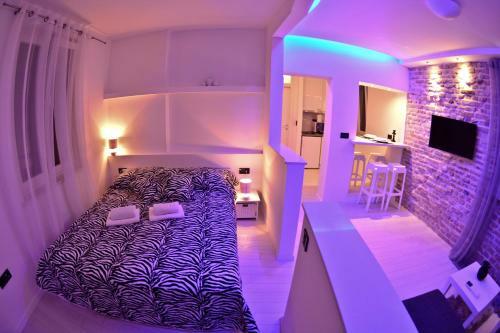 Featuring free WiFi, Zadar Sweet Studios offers accommodation in Zadar. St Donatus' Church is 200 metres away. All units feature a seating area. There is also a kitchenette, fitted with a microwave, refrigerator and stovetop. Studio Apartment. 2. 2 Single bed(s). Book Now. Room Detail ... Knezova Šubića Bribirskih 16 Zadar, Zadar County, 23000, Croatia. dalac.buskulic@gmail.com. Zadar apartments, villas and holiday rentals. Search ..... zadar croatia penthouse apartment luxury nice pool gym beautiful calm location nice area …see more. Close ...... Zadar holiday studio rental ... Sweet nice little apartment. …see more.